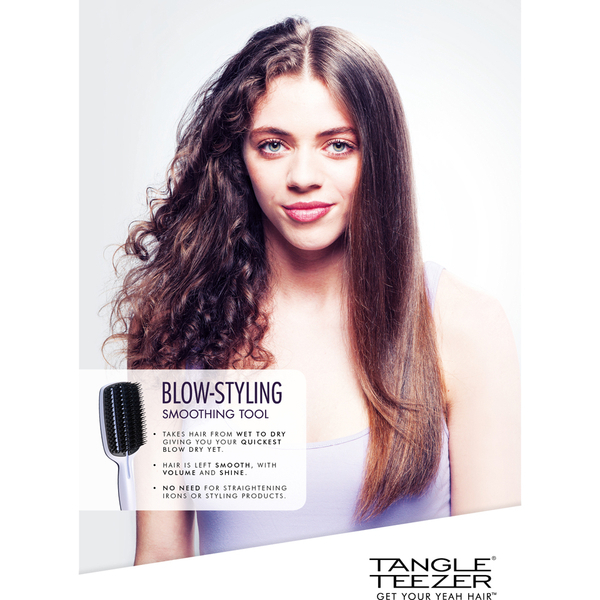 Experience a salon-worthy blow dry at home with Tangle Teezer's Blow-Drying Smoothing Tool - Half Size, an innovative brush that works to speed up hair drying time and promote sleek, shiny, frizz-free locks. 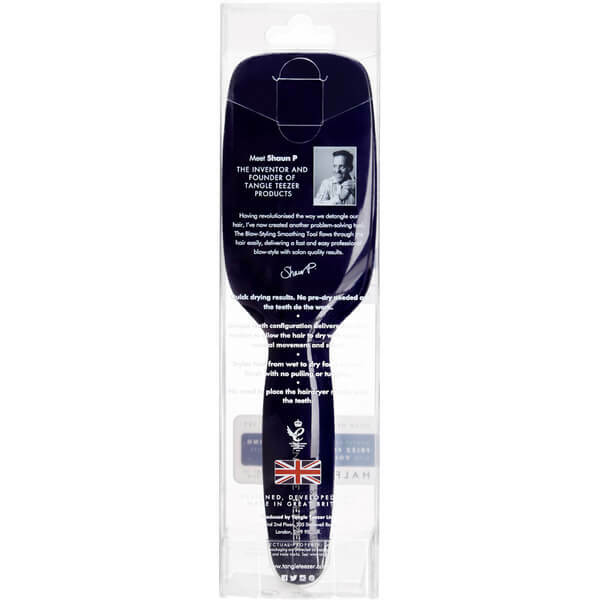 Taking hair from wet to dry, the brush is fitted with innovative teeth that extract surface water from the hair shaft for quick-drying results. 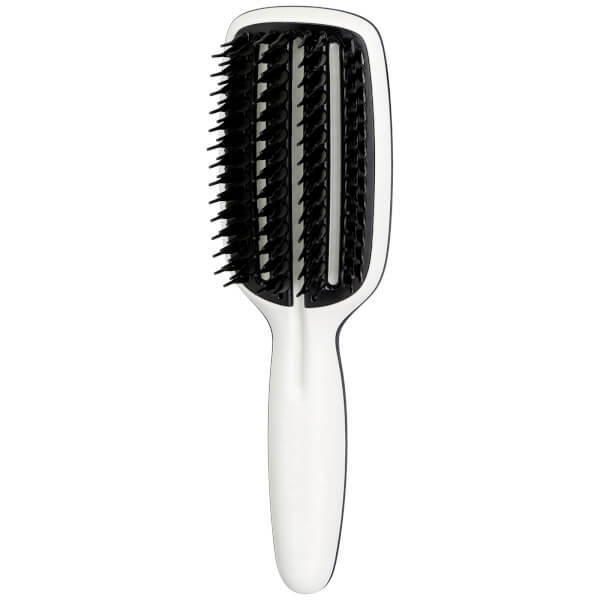 The teeth allow free-flow tension so there's no snagging or pulling, and expertly enhance the appearance of hair's volume, shine and smoothness for flawless results. 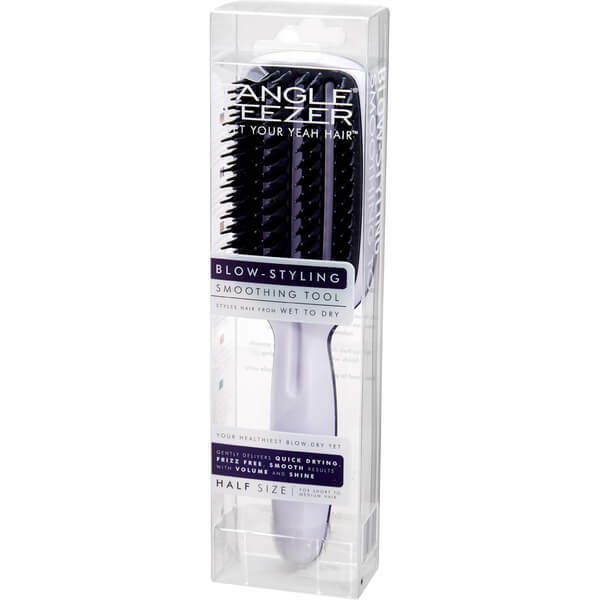 Hair is sleek, frizz-free and healthy-looking with light reflecting shine. 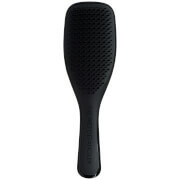 Complete with separated cleaning grooves for easy removal of dead hair. Suitable for all hair types. 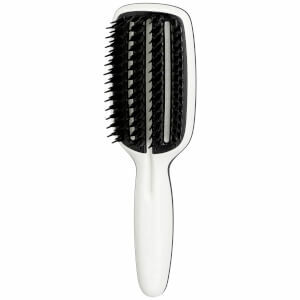 Best suited for short to medium hair lengths.